Who's Liable in a Company Carpool Accident? Ridesharing has become so common in our daily lives that employers are getting in on the act as well. Company carpool incentive programs have been popping up more and more, including apps to match employees who live nearby to find the most efficient rides. But any new opportunity opens up new avenues for legal liability, as one case from the Texas Supreme Court recently showed. Amerimex Drilling was contracted to drill oil-and-gas wells in Texas and provided mobile bunkhouses for its crews located around 30 miles away from a drilling site. The company paid the crew's driller $50 per day to drive the crew from the bunkhouses to the site and back. During one of those trips a driver struck another vehicle, killing two crew members in his truck and injuring himself and another. The injured worker and estates of the two deceased workers sued the company, claiming it was liable for their injuries and deaths. Amerimex claimed it lacked control over the employee's conduct at the time of the accident, meaning it was not vicariously liable for the accident. A trial court agreed, and dismissed the case. But the Texas Supreme Court reversed that decision, saying the case should go to trial to determine Amerimex's liability. The common-law doctrine of respondeat superior makes an employer liable for the actions of an employee when the actions take place within the scope of employment. 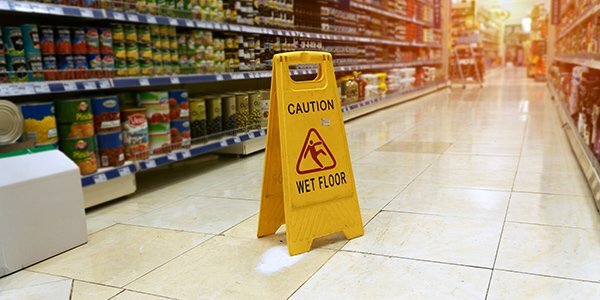 But to prove an employer's liability for a worker's negligence, a plaintiff must show that, at the time of the negligent conduct, the worker was an employee and was acting in the course and scope of their employment. In this case, the plaintiffs presented evidence that one of the driver's job duties as a driller on the project was to drive his crew to and from the drilling site, and that he was paid a "bonus" for performing this task. The court additionally cited evidence that "[t]ransporting himself and the other workers to and from the place of work was merely part of his job as a member of the drilling crew working for [Amerimex] under the particular circumstances of this case." So, Amerimex could be liable for the accident. So what does that mean for company carpool programs? It means that employers probably shouldn't designate driving fellow employees to and from work to one employee. Carpool incentives should be shared equally to drivers and riders, who should also be rotated regularly. Otherwise, employers might find themselves on the hook for carpool accident injuries. If you've been injured in a company carpool accident, contact an experienced car accident attorney in your area.